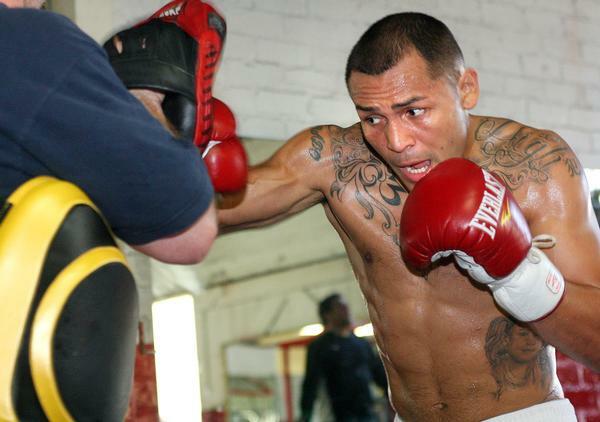 Mike Alvarado (34-3, 23 KOs) was arrested on weapons charges on Saturday in his hometown of Denver. The former WBO light welterweight champion was in the passenger seat of his Hummer when police pulled it over early Saturday because it had expired license plates. Officers said they saw Alvarado appear to be pushing something into the glove compartment when they approached the car. When police ran a records check on Alvarado, he was found to be wanted on a felony warrant and a traffic offence. When the car was searched, the handgun was found and he was arrested on an outstanding felony warrant and for possession of a handgun as a convicted felon. Alvarado posted a $41,500 bond and was released. Alvarado, 34, is still scheduled to face Brandon Rios (32-2-1, 23 KOs) on January 24 in Broomfield, Colorado, following two previous action-packed bouts, Rios scored a seventh-round knockout over Alvarado in October 2012 and then Alvarado won a close unanimous decision over Rios to win the WBO title in March 2013, in what will be the biggest bout of his career. If he wins, he will likely go on to feature in even more lucrative fights, but if he loses, it could well be the end of his career. Alvarado has suffered back to back defeats since the rematch with Rios. He was stopped by Ruslan Provodnikov in October 2013 and then lost a lopsided decision to Juan Manuel Marquez in May 2014.